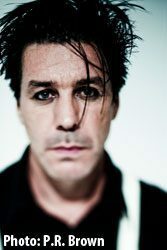 Till Lindemann was born in 1963 in Leipzig, the son of children’s book author and writer Werner Lindemann and journalist Brigitte Lindemann. In his youth he was a competitive swimmer and was in line to go to the 1980 Olympics in Moscow but an injury ended his participation in the sport. He worked as an apprentice carpenter, a gallery technician, a peat cutter and a basket weaver. In 1994 he became singer and lyricist for Rammstein. He lives in Berlin. His first book of poems, Messer, was published in 2005. 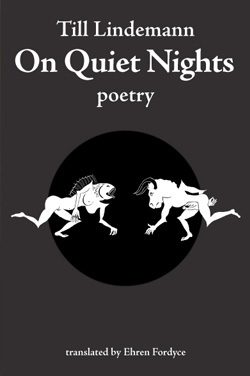 On Quiet Nights was originally published as In stillen Nächten in Germany in 2013.